Welcome to Lindsborg Realty in Lindsborg, Kansas, your source for Lindsborg real estate. Thank you for visiting our web site. We’d love to have you join us here in “Little Sweden USA”. 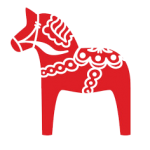 Our community takes great pride in promoting the local arts, music and Swedish heritage. If you are interested in the purchase of a new home or have a property to sell, we can help! Please bookmark our site as we routinely post new listings. 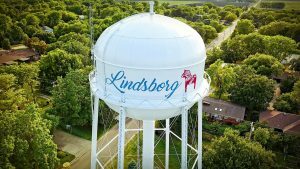 Lindsborg Realty was established in 1989 by Broker Carol Gusenius to offer quality real estate services to Buyers and Sellers in the Lindsborg community. Liz Lahodny recently purchased the business and will continue to offer the same personalized services. She and her staff specialize in residential and rural listings and sales in the Lindsborg area. Other services provided by Lindsborg Realty staff include rental management and comparable market analysis. Liz and her staff are all long-time Lindsborg residents who are very knowledgeable about the community and can provide you with up-to-date information on Lindsborg real estate. Feel free to browse our current listings and let us know if we can help you buy or sell. 2018 was again a very successful year for listings and sales in our 29 years of business! Lindsborg Realty agents continue to be involved in a high percentage of the Lindsborg & area sale transactions and we look forward to working with you in 2019. We know the market and can use that expertise to assist you with a purchase or sale. Inventory is still very low now and we have buyers waiting for homes. Please call if you’re thinking of selling and we’ll provide a free market analysis to see what your property might be worth. Select from our real estate listings by clicking Our Listings in the main menu. Our agents can also show you any other properties in Lindsborg and the surrounding area. Call, stop by, or request E-Mail for the most recent Lindsborg real estate information.